^ Tilley, David. 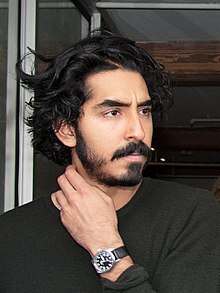 Slumdog Millionaire starring Dev Patel scoops nine Oscar nominations. Harrow Observer. 2009-01-20 [2009-03-26]. （原始内容存档于2009-02-14）. ^ Burrows, Tim. Slumdog Millionaire: Dev Patel hits the jackpot. The Daily Telegraph. 2008-12-01 [2009-03-26]. ^ Feinberg, Scott (interviewer); Patel, Dev (actor). Podcast: Scott puts "Slumdog" star Dev Patel back in the hot seat! (MP3). Los Angeles Times. 2008-10-15 [2009-03-26].